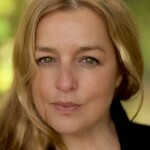 Deborah Wiseman is originally from Galway. She trained at the Gaiety School of Acting, Focus Theatre and at Margie Haber Studios in Los Angeles. Currently: Voicing lead character of Dragon in Sir Mouse by Fabrique Fantastique due for international release in 2019. Recent Film & TV work include: Vikings for History Channel/MGM, Jack Taylor for Netflix/Telegael, Carol in Caught by Tony Flynn, A Belfast Story Playing Colleen by JoltMe Productions directed by Nathan Todd Sims; Golgotha (Royal Television Society Award); Mo for Channel 4/ITV playing opposite Julie Walters directed by Phillip Martin; Linda in The Take for ITV/SKY Element Pictures directed by David Drury; Carmel Reynolds in Fair City for RTE; Situations Vacant for Grand Pictures directed by Lisa Mulcahy and 8.5 Hours by Instigator Films by Brian Lally. 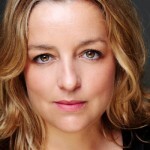 Voice work: She also recently voiced I am a Fish, a cartoon for RTE. Also narrating and voicing multiple characters in Cats on The Run a book by Ged Gillmore on Audible.. Voicing characters in Brewster the Rooster for RTE/ Salty Dog Productions (2017) and ecorded Volume I and Volume II of Irish Legends and Fairytales with The Sunday World for a National give away. Deborah is a skilled improviser and speaks fluent Italian and works as a clown Doctor . The School for Wives is at the New Theatre in Essex Street in Dublin. …..but my goodness, he and his co-stars (particularly Deborah Wiseman) have a whale of a time sinking their teeth into Moliere’s absurd set-up. Simon Toal plays Arnolphe with a bombastic vigour that never becomes tiresome, with Grace Fitzgerald as a spirited-but-innocent Agnes; and they both interplay effectively with Conor Donelan and Deborah Wiseman as the not-so-goofy peasant servitors. Killian Coyle manages to be lovelorn as well as funny as the love object Horace, and Colm O’Brien makes an effectively sniffy Chrysalde. Deborah Wiseman plays A, the ex-teacher turned Samaritan who is on a grand quest to save an old student who has gone down the wrong path. Her character has plenty of interaction with lively Dubs and Wiseman does a fantastic job of switching personae and voice changeovers from the calm mother to a rowdy thug. A’s story quietly touches on the topic of abortion, an understated segment of the play which provides lasting lingering thought. All give a great energy to the movement of the play, commendable in light of the monologue form which they render as full of life as possible. The set and lighting are not particularly exciting, but little is needed to augment the delivery of the verse by the cast. The scene takes place in only a small corner of the already intimate Boys School, a move which brings the audience deeper into the trouble and makes it easier for the cast to reach out and bring you along with them. ThereisBear! have put on the most entertaining piece of theatre I’ve seen in a long time and each member of the cast seemed to be enjoying the ride just as much as myself. Their production ofTerminus will delight anyone looking for a play that goes outside of any comfort zone, and the sprawling adventure turns out to be a curiously debauched but nonetheless heartfelt tribute to Dublin. Frontline members Donncha O’Dea and Deborah Wiseman appear in the new horror podcast Petrified by Peter Dunne and Liam Geraghty which has been listed as one of the top 30 Podcasts of 2019 by Image.ie. Read the list here and listen to the podcast on Spotify here or on your Podcast site of choice. It’s cold out there so wrap up warm and feel the chills up your spine! We are delighted to announce Deborah Wiseman has been cast in and is currently filming Vikings Season 6. Congratulations Deborah! We’re delighted to announce Deborah Wiseman will shortly begin filming on Jack Taylor! Also “The School for Wives” -starring Deborah has made it into Emer O’Kellys 2015 theatre roundup! “The School for Wives by AC Productions presented with verve and wicked humour” Congrats Deborah!